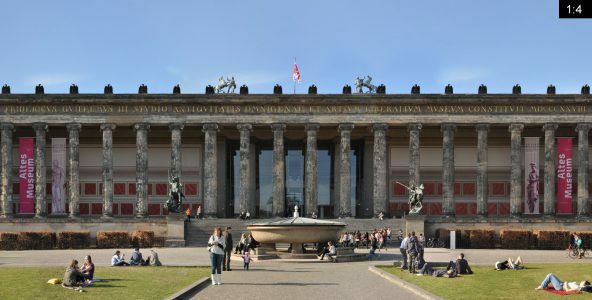 The Lustgarten in Berlin was part of the Berlin City Palace (Stadtschloss) area and today is in the middle of the Museum Island (Museumsinsel). 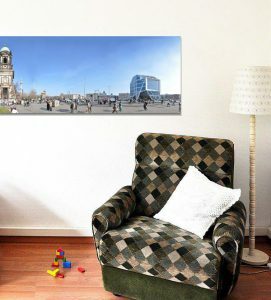 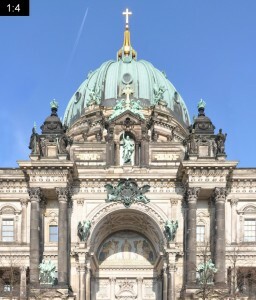 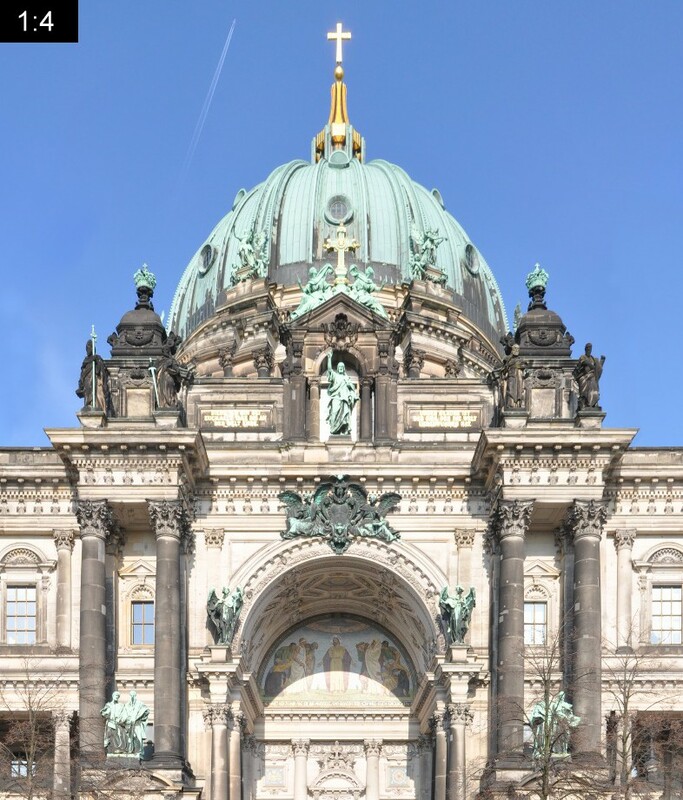 It is surrounded by the river Spree, the Altes Museum (english: old museum), the Berliner Dom (Berlin Cathedral) and the big square that once housed the City Palace and later the Palace of the Republic. The blueish building on the far right is the Humboldt-Box a futuristic and temporary museum structure during the time of the Stadtschloss reconstruction.